My current obsession is decorating my home. There is always something I see and straight away find a place for it in my home. This little gem was a key item that was needed (wanted!). After obsessing like a mad woman over Yankee Candle's Wax Tart's, I needed a Burner to burn the babies and I hopped onto eBay and searched for a typical burner. Please bear in mind, that I did not want just any oil burner as I like things to be unique. 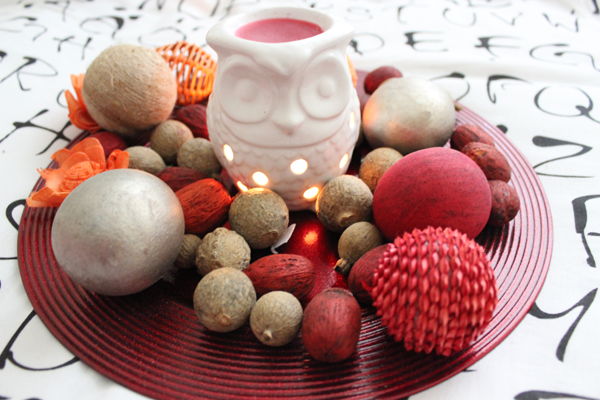 When I found this 11cm Owl Oil Burner, I straight away knew it would be perfect. It is white ceramic with little tiny circle holes all around the body where the light shines through. When Lit, it does look so lovely in the evening and lights up the whole room.